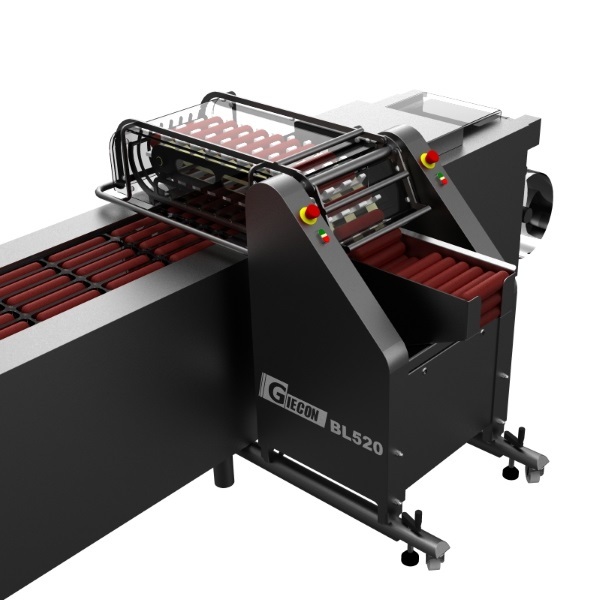 Fully automatic aluminum clip removal and loading sausages into packaging machine. Loading sausages into thermoformer from hopper with 20 to 60 pieces. 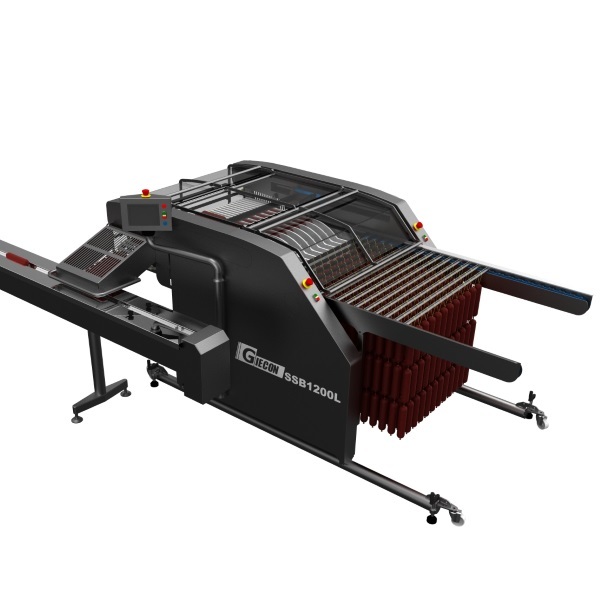 Automatic stickbuffer for stick and rope removal and loading sausages into declipper or loader. 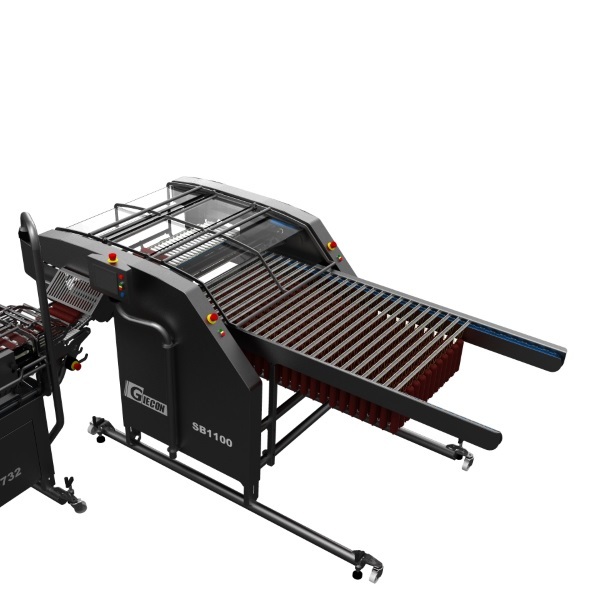 Automatic stickbuffer for stick and rope removal, cutting sausage chains and loading sausages into declipper or loader. Sliding dried ringsausage of sticks before loading manual in thermoformer. 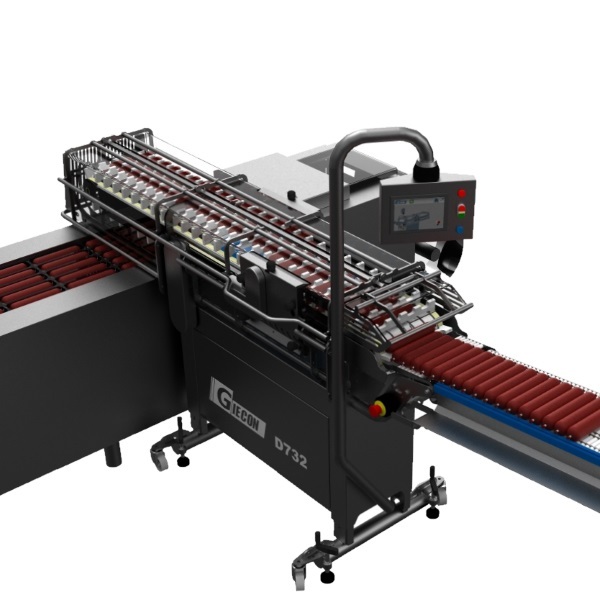 Singulate sausage chains and load sausages into flowpacker. 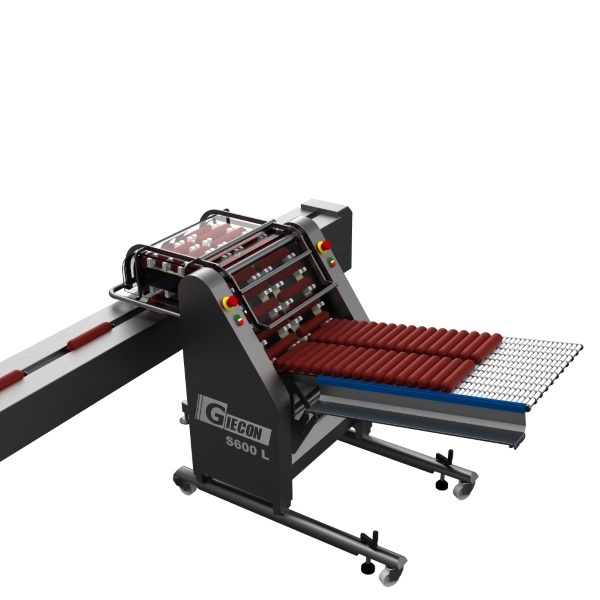 Automatic bufferloader for stick and rope removal and loading sausages into a flowpacker. 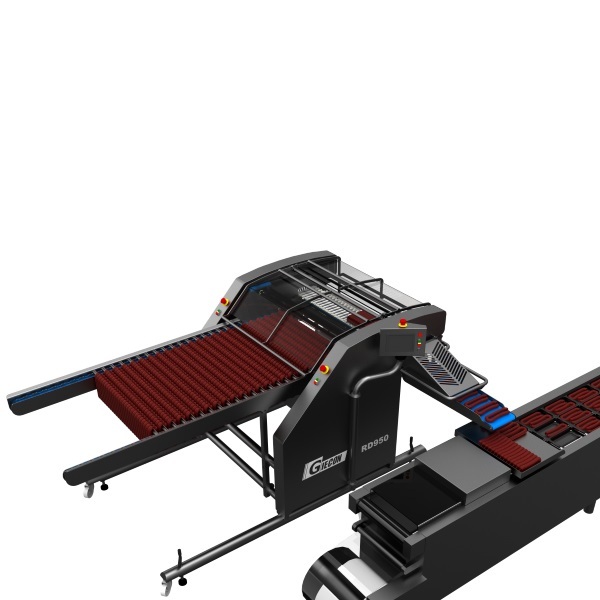 Automatic bufferloader for stick and rope removal, cutting sausage chains and loading sausages into flowpacker. Giecon equipment is sold only through authorized dealers. 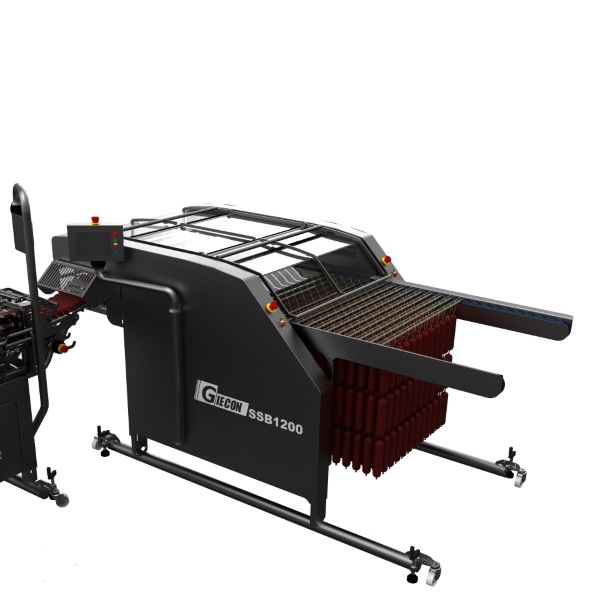 Giecon develops sausage declipping & loading systems for thermoformer and flowpacker. With over 15 years experience we can rightfully call ourselves specialist in sausage declipping and loading. 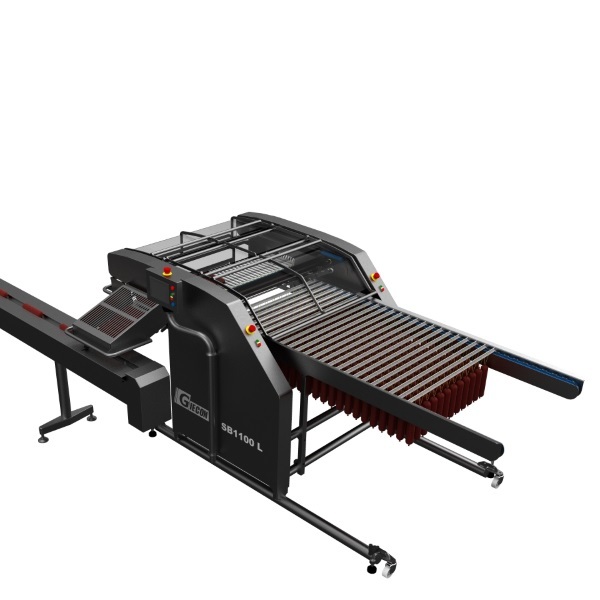 Our machines distinguish themselves by a logical product flow and straightforward design. We offer the flexibility to design and produce custom made solutions to suit your needs as best as possible.